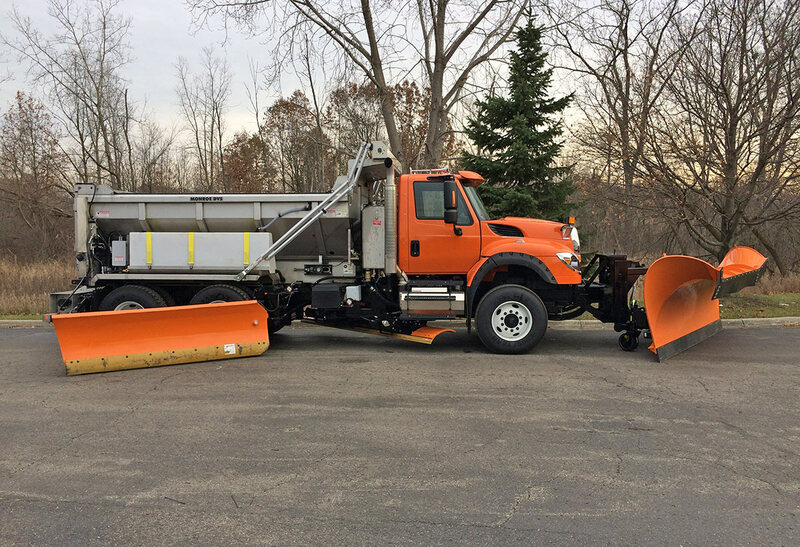 This 9′ Patrol Wing was installed for Saginaw County Road Commission. This 7′ Junior Wing was installed on a single axle Swaploader for the City of Brighton. This 7′ Junior Wing was installed on a single axle Swaploader for the City of Brighton. Contact us for all your wing plow repair parts, cutting edges, and shoes. 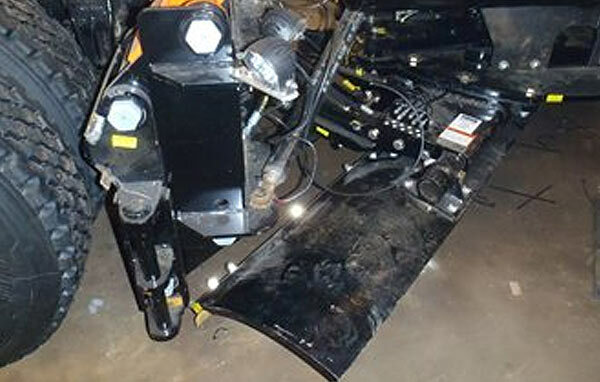 Wing plows offer agencies the ability to economically increase efficiencies by increasing the plowing swath and reduce number of trips required to clean your trunkline. 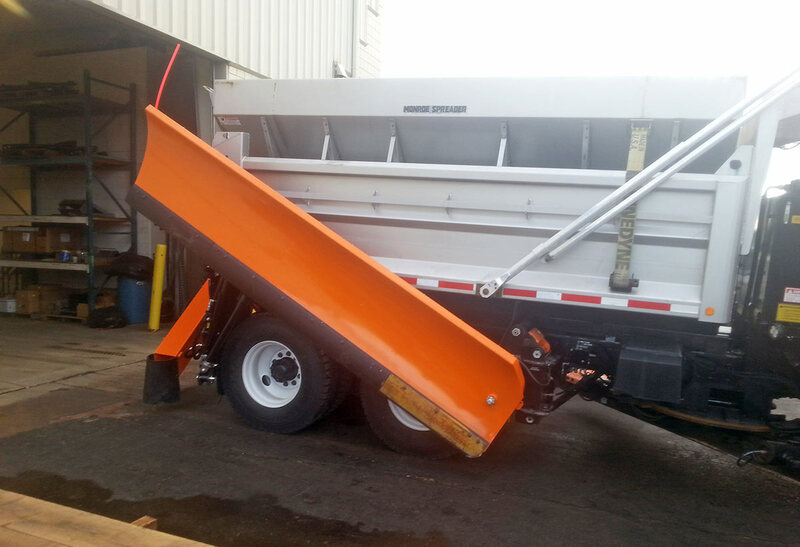 Truck & Trailer Specialities offers a full line of wing plows for trucks, loaders, and graders. 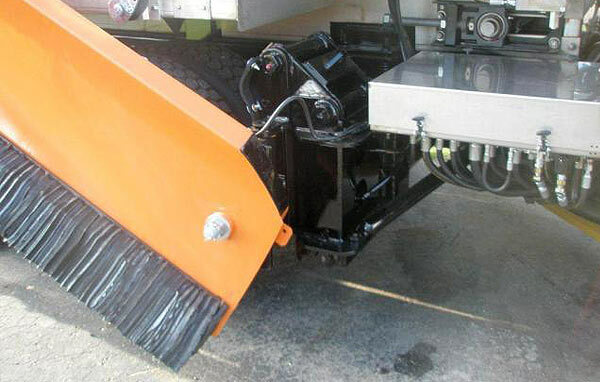 We can provide you with Junior or Patrol mid-mount wing plows designed for underbody scraper equipped plow trucks. 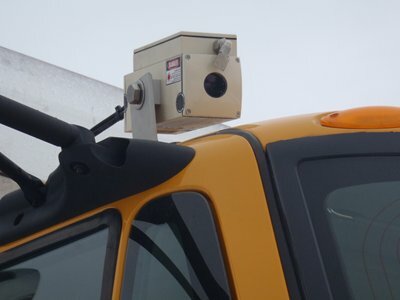 We offer the new Monroe Truck designed “Paraglide” wing mounting system with a parallelogram design allowing the wing to “float” over manhole covers, raised pavement & joints, bridge decks, etc. 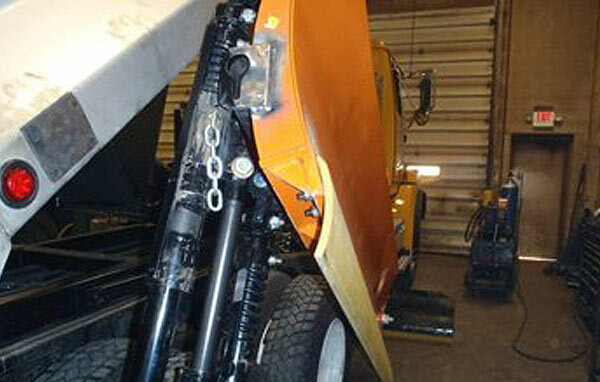 reducing the risk of damage to the wing plow or the truck. Truck & Trailer is the exclusive Michigan distributor for the Monroe Truck designed Para-Glide wing post. The Para-Glide is a “parallelogram” design wing post replacing the older style “slide” and has the potential to greatly decrease wing damage caused by uneven pavement, manhole covers, etc. 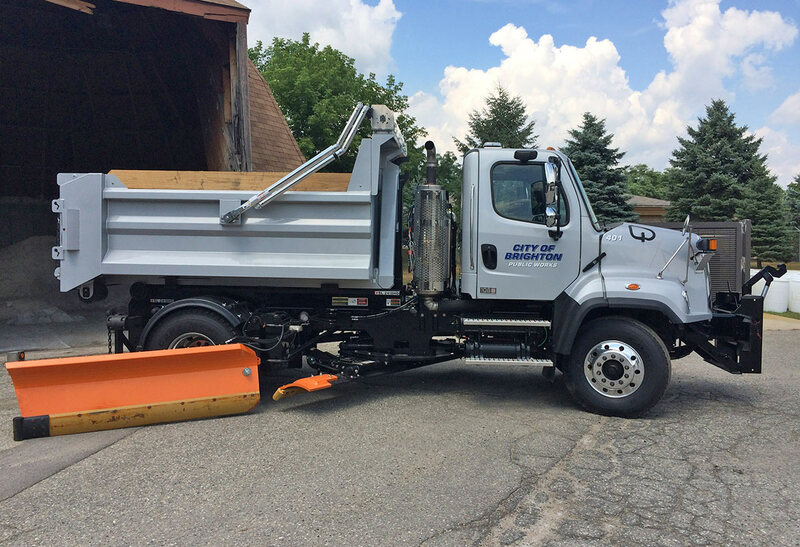 Installed on City of Grand Rapids, MI winter maintenance truck equipped with mid-mount wing plow.